With the introduction of devices such as the iPhone and the iPod Touch we finally have a web browser that is generally useful on the move. Combine this with the inclusion of Google Maps, on both the iPhone and the Touch (if its jailbreaked), and you have for the first time a device that makes us feel connected wherever we go in the city. 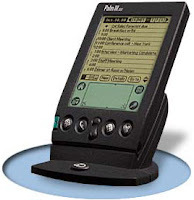 Although similar devices have been around for a while and indeed we have been using them ever since our Palm IIIse was able to connect via the infrared port of our old Nokia Phone it is only recently that the experience has become hassle free and mainstream. 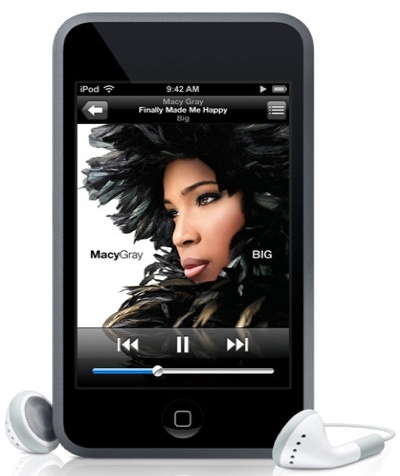 Devices such as the iPhone are also of interest due to their lack of GPS, compared to say the Nokia N95. The question arises for urban use if a GPS is actually necessary, in the 4 minute wait that is the N95 trying to get a satellite fix we can simply look up at a street sign and type in it, the Google Maps app will then find our location and plot a path to our destination. Sure you don’t have that reassuring ‘you are here’ mark as you walk around but you also don’t have the problem of lost satellites and drained battery power. So in short we feel truly connected for the first time using a device that also allows us to play our albums, watch that BBC show we recorded the night before and all while sitting on the 134 from Camden Town. This is a good thing but to be honest its not enough, although connected to the world via a web browser we feel strangely disconnected from the city itself. This lack of connection to the city around us is disconcerting, where are the hotspots in shops offering details on the goods in-store or the latest offers? Why at the bus stop can’t we access a feed detailing the time before the ride is due? Why when entering a department store is it not possible to download a floor plan and check the stock, or finally, when viewing a planning permission on the lamp post why are we unable to pull up an augmented view of the site as planned along with a comment form. The questions are endless and ultimately the conclusion is that we are merely at the start of a connected city. The problem is not of course WiFi coverage, most large urban areas have their own providers with costs increasingly being kept down by a crowded market. At the moment perhaps it is a lack of foresight on the retailer’s part or a lack of demand. Of note is Apple’s free Internet access in their stores, this should be celebrated but in reality results in users popping in to check their email or their bid status on eBay. At the heart of the argument is the desire for information, to be part of a wired society and to feel connected to the city not only on social and retail level but also architecturally. We want to be able to walk past listed buildings and to tap into local information existing at that location. It comes down to not connecting to the globe or even connecting to information via RFID tags or Bluetooth but local clouds of information. Local Clouds would provide local services accessible within a small radius around specific points, with tailor made information this would finally allow us to connect to the city at a street level…. Written while waiting to be called into court, currently away from the office and the blog on Jury Service. Nice thoughts Andy. The connected world is getting closer, but the connectedness your describing will take time. And, the disparity between different parts of the world in terms of connectedness will probably grow stronger rather than closer in the near term. It’s a shame that by being early adopters of the technology, the US is having a harder time keeping up with advances because we have invested too much in the earlier out-dated infrastructure. I guess this will happen again and again as the technology progresses. Japan and South Korea are the early adopters, so the US will be able to leapfrog once the direction becomes clearer. I held off buying a phone for a couple of years due to lack of GPS, but this article has convinced me that yeah, it’s gonna be an iPhone. hmm. as always, it’s providing the content that costs the money. So i can see that a store might well see the advantage in letting you download a store guide, particularly if it’s say. Harrods or Selfridges, because they have sufficient floor space and funding to make the cost of development/benefit to consumer argument work – plus for early adopters it’s a nice gimmick. But supermarkets move stuff around precisely so you can’t find it easily – thus forcing you to browse items you might not otherwise buy. As for planning applications – who picks up the cost? Is this another burden on clients/architects, or do the planners (ie local residents through council tax) pay? Nice ideas, but these the obstacles at the moment are more along the lines of diverse, constantly changing platforms and software that is unintuitive and difficult to use. Many of the things you describe are just now starting to make sense to people, especially in the hyperlocal sense, and in cases where hyperlocal listing and advertising will take place. As Frank said above — this will take some time, but I believe also a relatively short amount of time once everyone becomes familiarized with mobility as being the true end-user asset to functionality, over sitting behind and being constrained by a desktop. In the US, we do have a huge hurdle to get passed, which is basically the large comm companies fighting over who’s going to do what, get what, and how much. I’m actually happy to see someone like Google or Apple just jump in and forget about all the political ‘junk’ and just do it! It’s that mentality that built the infrastructure in this country, and it’s only fitting to see such innovative companies looking beyond the beauracracy and taking charge of the future. I see it was mentioned in Wired a few months back, any other thoughts on its origins would be good if anyone knows..